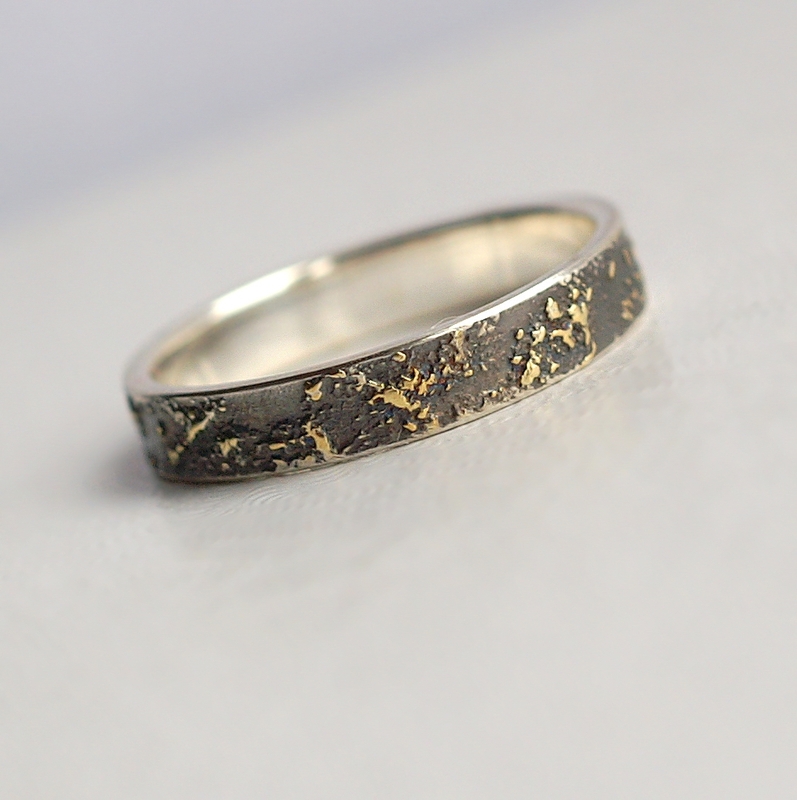 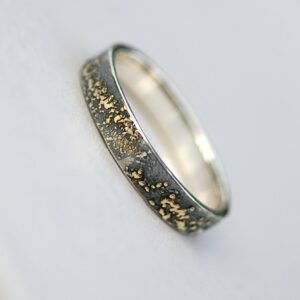 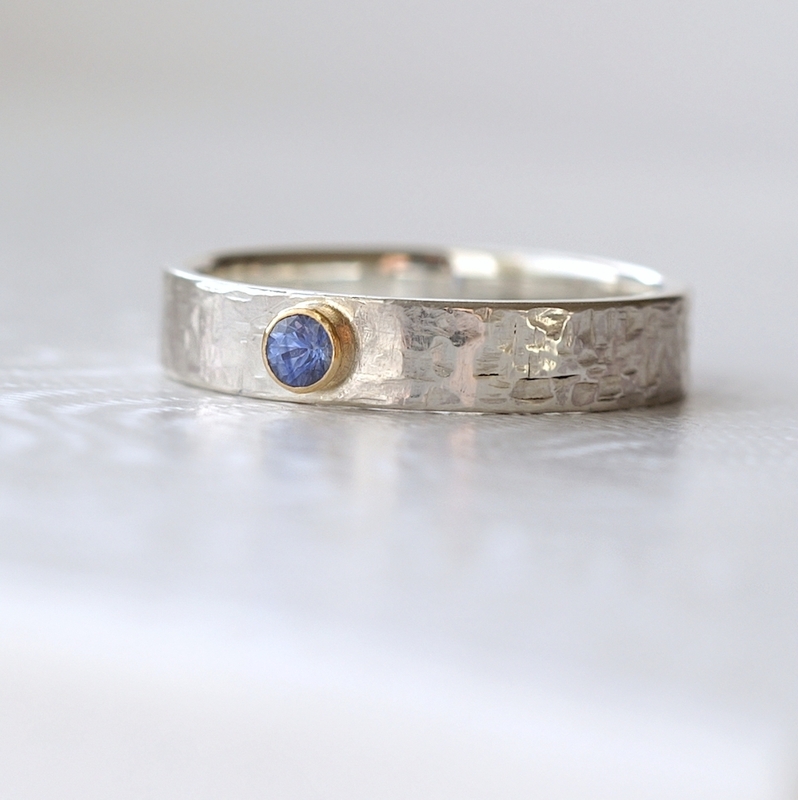 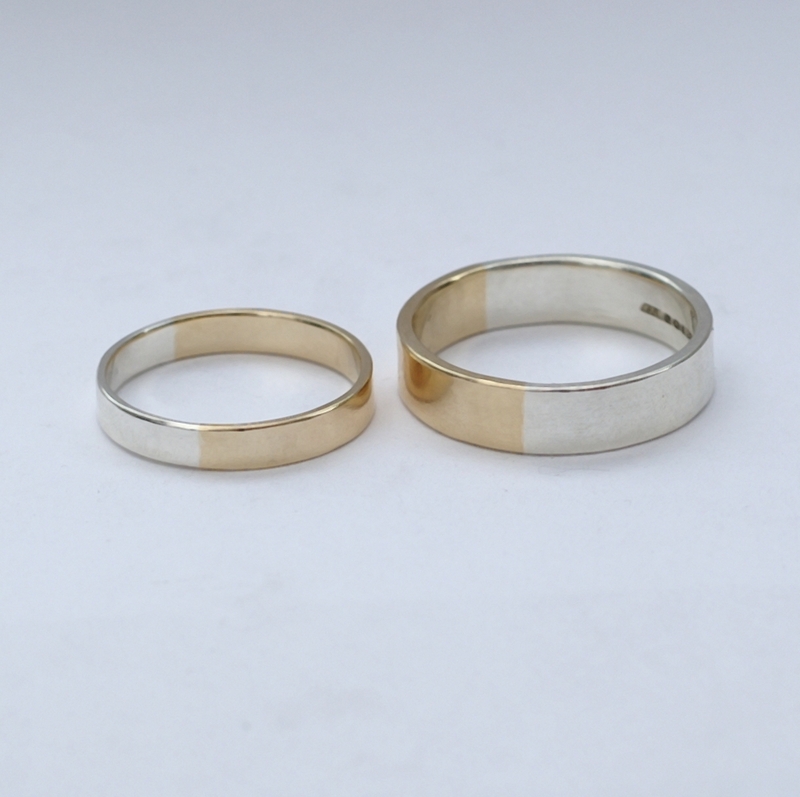 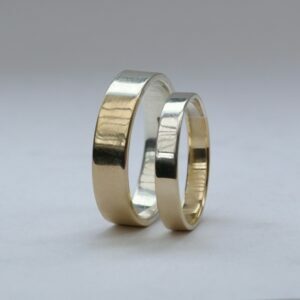 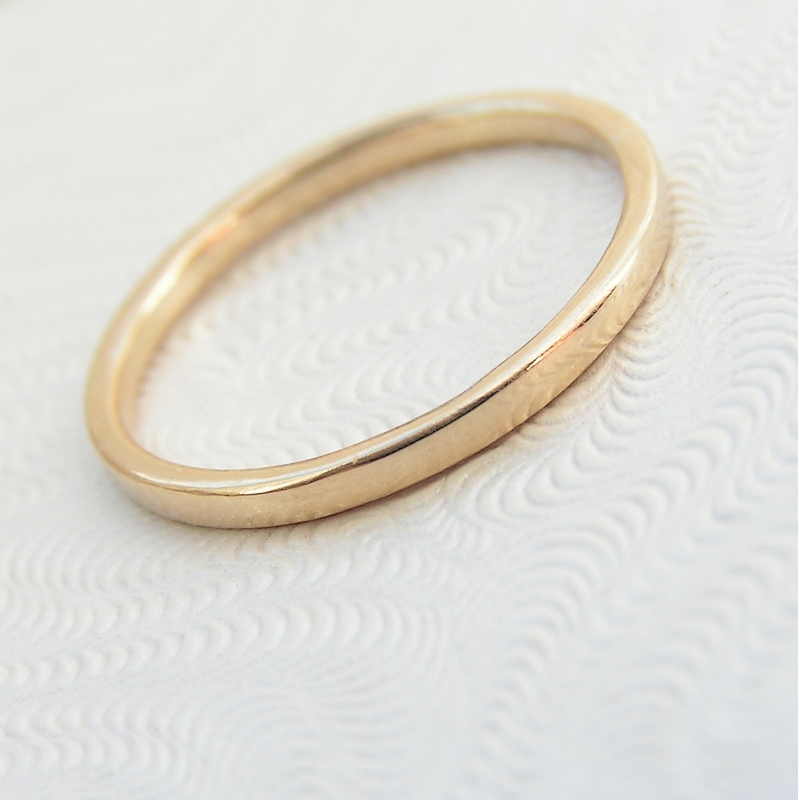 A set of 5 mm and 3 mm Wedding bands made of 9k yellow gold and sterling silver in golden ratio. 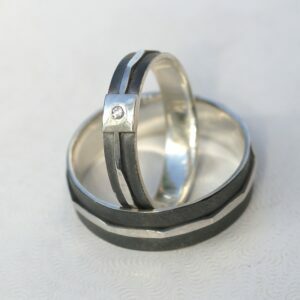 Perfect rings for math lovers, geeks, scientists or artists. Wedding bands made of 9ct yellow gold and silver in golden ratio. 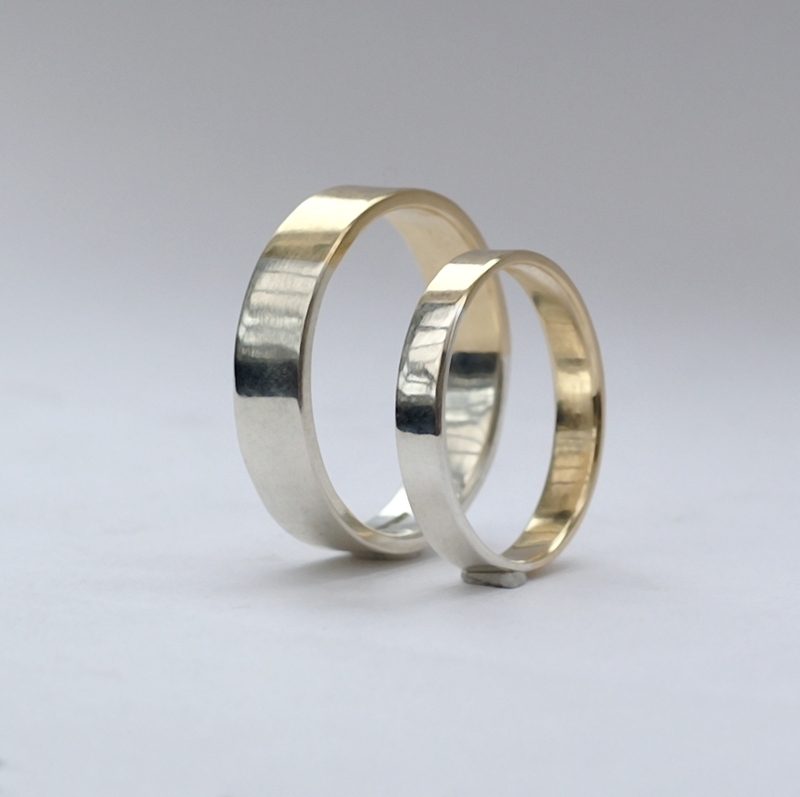 Making of these rings is tricky. 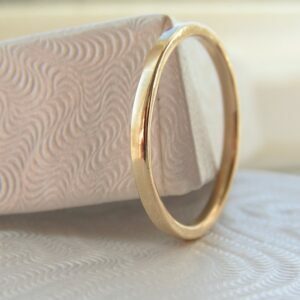 For every size I need to count the exact length of gold and silver sheet for them to be in the famous golden ratio (1.62:1 as exactly as possible). 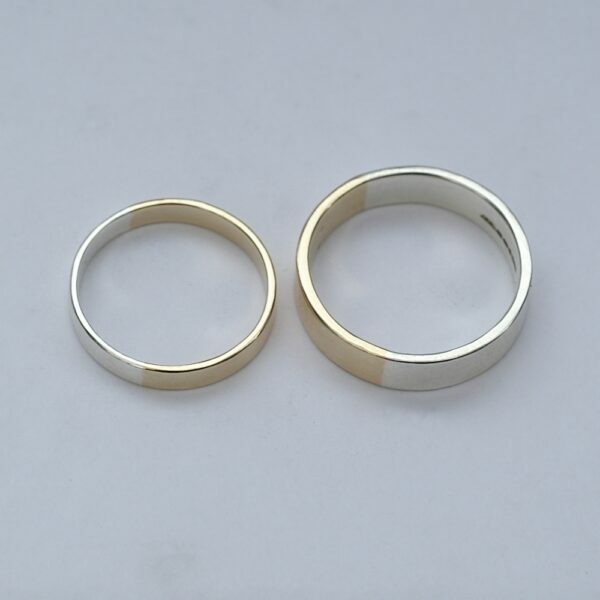 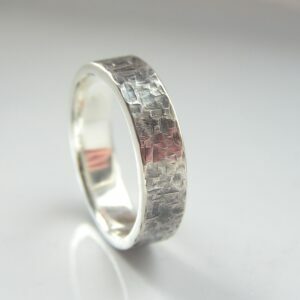 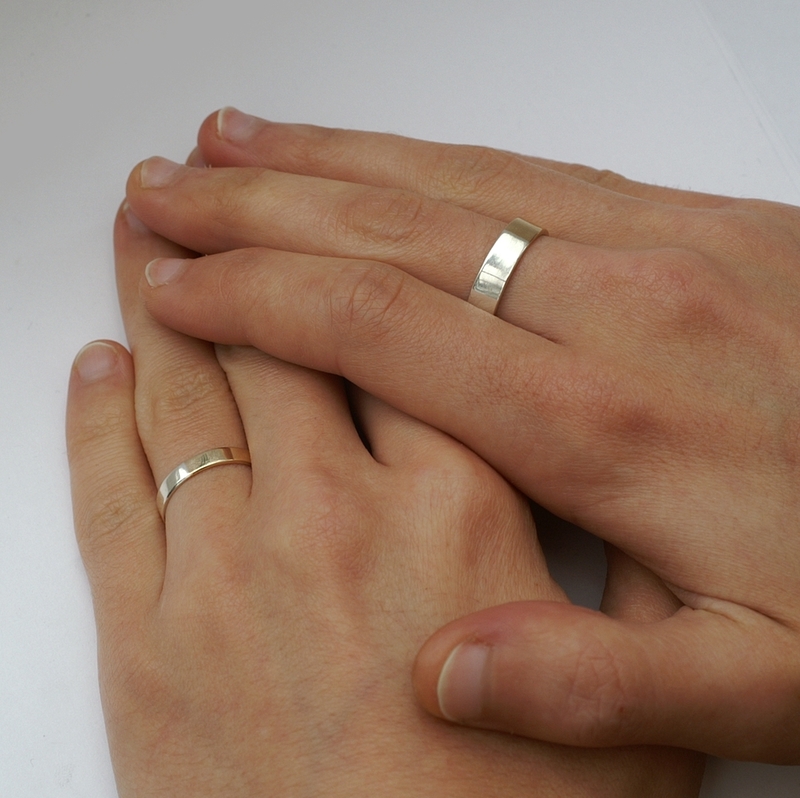 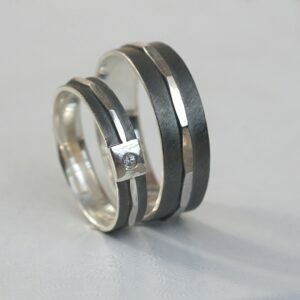 The rings for her and for him complement each other – ladies one has more gold and men’s ring more silver. The rings are flat with rounded edges. 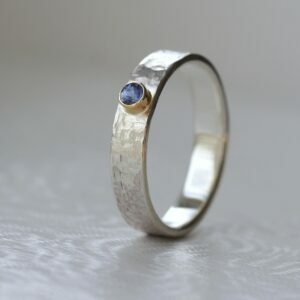 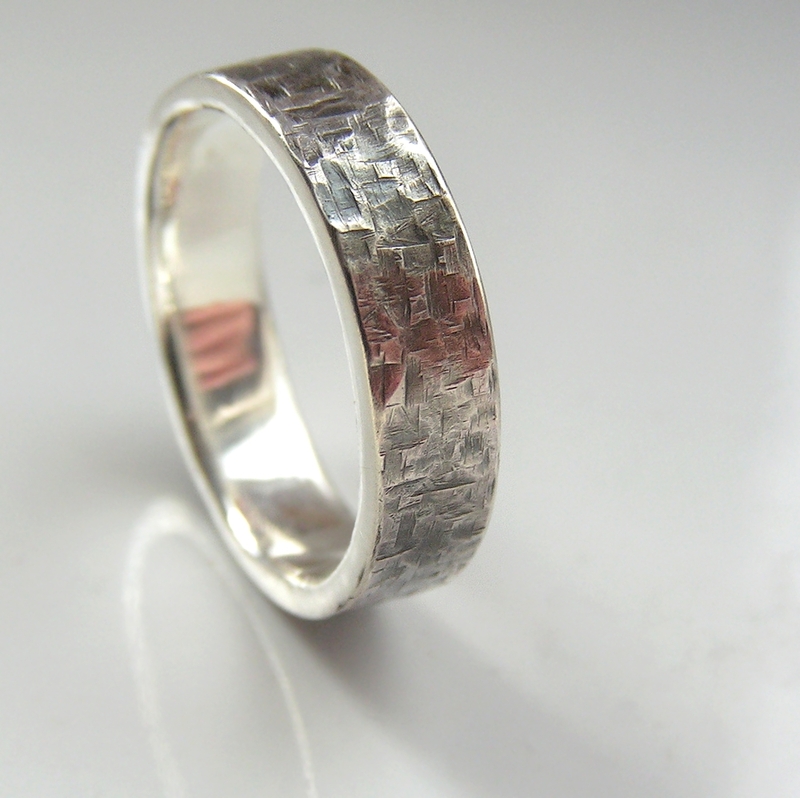 Different fineness (14k, 18k), white gold instead of sterling silver and rose gold instead of yellow may be possible as custom order, contact me for details.